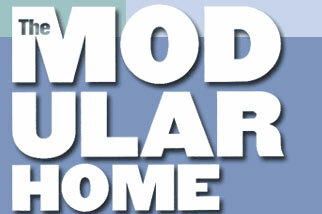 Tri-County Homes has been building custom modular homes in and around Western Pennsylvania since 1962. Tri-County Homes will build your home from your plans or ours either as complete turn key or with you the buyer doing as much of the work as you want or can complete. Whether you are considering modular or stick built for your new home, no one can give you as much home for your money as Tri-County Homes. Visit us today. Lewis Homes, Inc. is a family-owned business serving you since 1952. We are located in Wellsboro, Pennsylvania and provide custom modular and manufactured homes to the northern Pennsylvania and southern New York territory. Double T Homes inc. is family owned and operated for over 30 years. 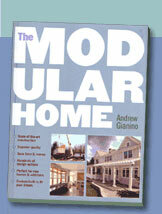 We feature Custom Modular and Modular Log Homes for WV, VA, PA, and MD. B&R Keely Builders, a family run business, offers high-quality, affordable and personalized building services across Pennsylvania's beautiful Pocono Mountains. DB Homes specializes in turnkey modular construction. We can handle every aspect of the construction process. Or you can use our Owner/Builder Program, which allows you to manage any part of the process on your own so you can save thousands of dollars. We build in parts of Pennsylvania and Maryland. Woodframe Homes represents the best of modular homes, including vacation homes and log modular homes. We build across northeastern Pennsylvania and the southern tier of New York. Modular and New Home Construction in Pennsylvania, Maryland, and Virginia - Award winning Schaff's Home Center has been providing quality affordable modular and manufactured homes for over 40 years.